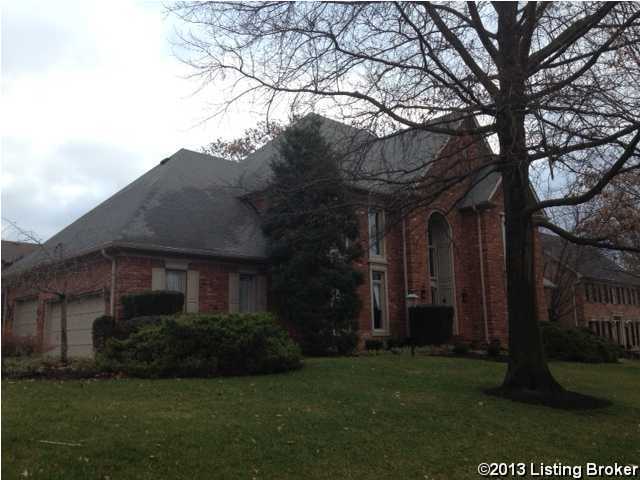 Located in the Locust Hill subdivision, this home is situated on a lovely flat corner lot. The freshly painted foyer, living room and library will welcome you into this spacious home with plenty of details throughout. The dining room offers a tray ceiling and dentil crown molding while the study/office enjoys a fireplace and built-ins. The family room includes a 2nd fireplace, built-in shelving and doors that open to a vaulted porch. The eat-in vaulted kitchen offers new cabinets, granite counter tops and stainless appliances. The owner's suite is spacious with it's vaulted ceiling, owner's bath and his & hers closets. The finished lower level includes a large rec room with a wall of built in shelving, a full bath plus another room which could be an office. Locust Hill is a subdivision within the city of Louisville, Kentucky. There are currently 1 Homes for Sale within Locust Hill, with asking prices ranging from $719,900 to $719,900. The average list price per square foot of the available inventory in Locust Hill is $171, which is above the Louisville average of $156. The Average Sales price of all sold real estate in this subdivision for the past year is $649,500. Recent comparable homes have been selling for 96.62% of their asking price. Waterfront homes represent 100.00% of the available Locust Hill inventory. The population of Louisville, according to the 2010 Census, is 597,337. The total number of households in the zip code of Locust Hill is 13,905, with an average household size for of 2.13 people. The total number of renter households within the zip code of 40207 is 4,301, which means that 69.07% of households in this zipcode are owner occupant households. 2005 Long Knife Ct, Louisville KY 40207 is a Home, with 4 bedrooms which is recently sold, it has 5,501 sqft, 126X104 sized lot, and 3 Car Garage,Attached parking. A comparable Home, has 5 bedrooms and 4.5 baths, it was built in and is located at 5008 Long Knife Run Louisville KY 40207 and for sale by its owner at $ 719,900. This home is located in the city of Louisville , in zip code 40207, this Jefferson County Home, it is in the LOCUST HILL Subdivision, and St Matthews are nearby neighborhoods.